Baccarat is one of the most popular casino games played around the world today, both online and in person. Pronounced ‘bah-cah-rah’ (making sure you’ve nailed the correct pronunciation is the first step to becoming an expert in any casino game! ), this is a game that one can do well in if exercising a little strategy. But first, it’s best to be aware of the finer details before going all-in. A card game in which you compare cards played between two hands – the “player” and the “banker” – baccarat features ‘coups’ (or rounds of play) with 3 possible outcomes: either the player ends up with the high score, or the banker does, or it’s a tie. Each card has a point value, though in the case of combined totals only the right digit is counted (i.e. 7 and 5, adding up to 12, would in fact be 2), meaning the highest possible combined total is nine. Some claim the game originated in the 19th century, while others would say it was first introduced as far back as the 15th century by soldiers fighting in the Franco-Italian war. While there have been – and still are today – different versions of the game with slight rule variations, the basic baccarat rules stated above are standard across all of them. Nowadays baccarat is an immensely popular casino game due to its ease of play and an uncanny ability to create a relaxed atmosphere in live table scenarios. For these reasons primarily, live casino baccarat is still popular. Wagering possibilities are quite varied, with chances split between the player winning, the banker winning, a player pair, banker pair, either pair, or perfect pair. As with many other casino games, of course, online play has become increasingly popular among baccarat players. Its vast accessibility has also helped it connect with a new generation who prefer to play primarily online rather than go to a physical casino. Online casinos in the UK, for example, are now the popular method of playing baccarat, though most major UK cities now have land-based casinos as well, which are particularly popular in heavily student-populated areas. Furthermore there are plans in consideration to open at least one Vegas-style ‘super casino’ in London. These plans are, in part, aiming to capitalise on the popularity of online casinos in the UK, where a Vegas atmosphere can be recreated as well as any live casino. Bet on the banker – if you’re just starting out or are simply looking for the best chance of a win, the banker represents a higher win percentage (coming in just over 50% of the time) though at lower odds than the player. Now, those with more experience or using a certain betting strategy (the Martingale system of progressively increasing stakes on each loss, for instance) may choose to back the player instead, for the same reason: its longer odds could mean a higher return. There’s no “wrong” choice here, as it’s dependent on your strategy and style of play. Ultimately it will, most of all, come down to luck, which is important to remember in baccarat as in any gambling activity. Avoid the ‘tie’ bet – generally considered a waste of money, the tie bet firmly favours the casino. Sure, you could get a respectable payout price if you guess right, but the house has an advantage of around 15% here and you won’t find many experienced baccarat players going for it unless they’re over-confident to the point where they consider themselves Nostradamus. In which case their luck is probably about to run out. Don’t get too cocky – unfortunately, it’s impossible to keep winning indefinitely. It’s dangerous to get over-confident when playing baccarat even if you’re on a nice win streak. This is a tight game and could easily flip the other way before you know it. So it’s best to take regular breaks. Perhaps decide beforehand how many games you want to play and hold yourself to it. That way, you’ll be more prepared to walk away when you reach your limit. If you’re still winning then, great! That means you get to walk away with a profit; if not, it’s best to accept temporary defeat and come back at another point in time. 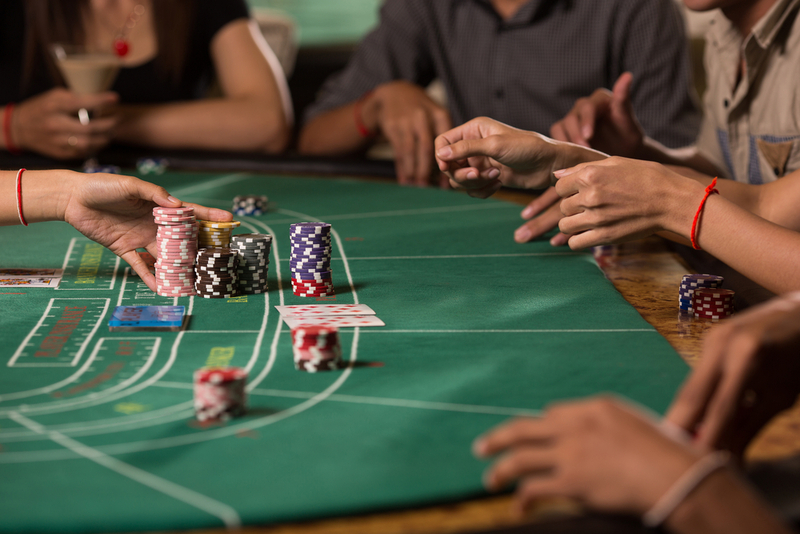 While these recommendations may sound simple, remember that baccarat is actually a fairly simple game. That is, in part, what people love about it. Keep these small strategies in mind, and it may just help you play smarter in future.